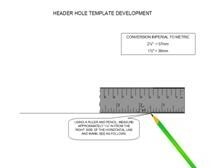 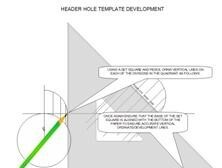 The FabEasy header hole template/pattern module is a line-by-line guide on how to develop a header hole template/pattern for a 45° angled branch intersection. 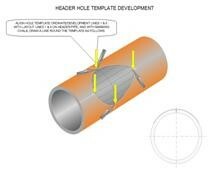 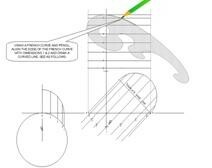 The module is based on a 2″ schedule 40 nominal bore pipe and uses four ordinate/development lines per quadrant to achieve a high degree of accuracy for a 45° branch intersection header hole template/pattern. 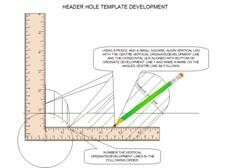 This lay-out method can be used for any branch intersection header hole template/pattern.